Wolverine is one angry Canuck. Can you blame the guy though? That cranky Canadian curmudgeon has been through a ton of bad things in his life. He was born back in the 1880s, so he's well over 100 years old at this point. He was instilled with weird mutant powers, which instantly made him an outcast. He's been forced to fight in a myriad of different wars since then. He's also been shot, punched, zapped, blown up, and scratched by Sabretooth more times than he can count. He lost the love of his life on multiple occasions, and some shady people even exploited his mutant powers to inject molten adamantium onto his skeleton. Wouldn't all that make you feel like going into a feral rage? Of course, for a guy who's had a pretty messed up past, he's a pretty snappy dresser! With that bright yellow, blue, and black color scheme, you'd never know about his feral rage tendencies. 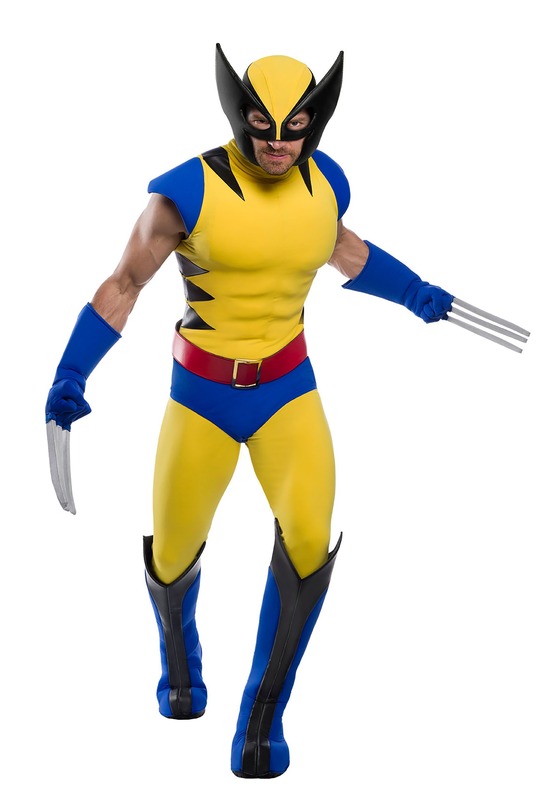 That makes his X-Men outfit the perfect costume to wear whether you've got a mean streak like Wolverine, or if you just want a brightly colored costume to help you feel like a superhero. 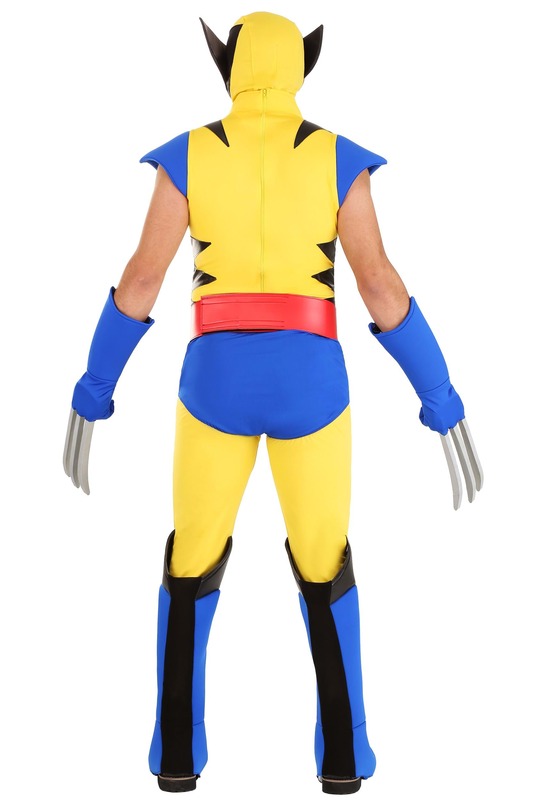 This premium Wolverine costume turns you into the legendary claw-man from the X-Men comic books. The costume is closely modeled after his costume from the 90s stories (you know, the outfit that everyone loves). The costume is a bright yellow, with black stripes along the sides and shoulders. It also comes with blue accents to help round out the classic look. It comes with a red belt that fits around the waist, along with a pair of boot covers and a pair of blue "claw" gloves. Finally, the mask does a faithful job of recreating the from the comic books, including the pointy black "ears" on the sides of his head. The only thing missing is the angry attitude! 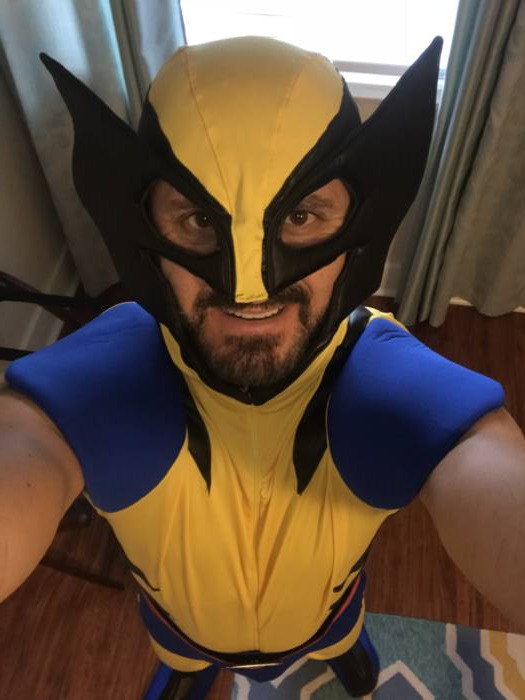 If you like being the best at what you do (even if what you do isn't very nice), then you'd better be wearing this Wolverine costume! When you wear it, you might just be ready to tangle with Sabretooth for a round or two. Did not meet expectations. The costume mask was very uncomfortable. Had to remove it after 5 minutes of wearing it. The costume is made to fit guys that are 5’10” or taller. I weigh 195, 6ft1" and built. The fit was quiet good for me but the "muscle insert" became to much so I liked it better without it. The mask, suit and glows are good. The claws are cheaper and made from foam. The "boots" are also a bit loose in the fit, but ok.